Give a man a fish, feed him for a day. Teach a man how to fish, feed him for a lifetime. It’s been almost three years since I started Easy Journaling. And the reason I want to share about the lessons I’ve learned is because they’ve been surprising. In the beginning it was simply a blog where I reviewed the best iPhone journaling apps I could find. It quickly evolved to include all platforms, as well as the best methods for keeping a journal digitally. 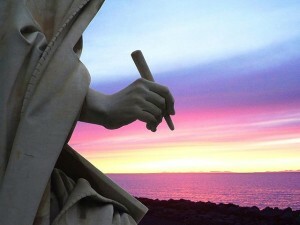 Modern Journaling was the first guide on keeping a journal digitally. 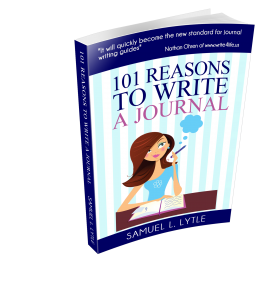 Later, 101 Reasons to Write a Journal and other books were added to help readers get the most out of their personal journal writing. I had done most of the writing and tutorials, but what’s interesting is that nobody on the Easy Journaling team has learned more than I have. Without question, the best part of the entire EJ project has been the community that has evolved and the friendships that have been made. Both with journal-writers who have similar websites, as well as others who found the site by seeking the best journal app. I have taught everything I know on the subject, and yet the community has consistently given me the best tips and recommendations. The readers of EJ have also been generous whenever I made mistakes, and helped me fill in the gaps when my research was not complete. Also, reading old journal entries has become a streamlined process. Since I have used several different journal applications on a consistent basis (someone had to test them, right?) I now have content on a variety of platforms. Yes, I always make PDF backups, but there are a few features that I have really learned to enjoy from specific journaling services. Specifically, Penzu and Everyday Timeline have proved to be very benificial as they consistently email me old entries and content from my past. Every day when I open my email inbox I get a new mini-blast reminder of how my life was, anywhere from one to five years ago. Everything I write is now more secure and always backed up. I never use journals without passwords, and I don’t rely on the developer to guard my data for life. PDF export has become my method of choice for safeguarding my journal, and I now have a journal vault with a half dozen PDFs containing the best parts of my life. If I had to summarize my current journaling experience down to one word I would say “peace”. I am at peace with how much and how often I journal. I am at peace knowing that this side of the apocalypse, my journals are secure and backed up. I am at peace knowing I have helped many others achieve similar levels of peace. I wish this kind of peace for everyone in their journaling practice. Nathan is a great guide, and I know he’d like you to check out Easy Journaling as well. This entry was posted in Journaling Tips, Motivation to Journal, Resources and tagged digital journaling, easy journaling, journaling blog, lessons from journaling, modern journaling, secure journaling on April 30, 2014 by Nathan Ohren.